Mr. Daisuke Segawa, Corporate Senior Vice President of Ricoh Company, Ltd., explained FY2015 Q2 results using materials below. Did you solve the impact of the color MFPs supply problem on hardware and non-hardware? Do you have a plan to do additional cost cuttings and prime cost decrease in 2H of fiscal year? Do you have any additional initiatives for producing free cash flow? 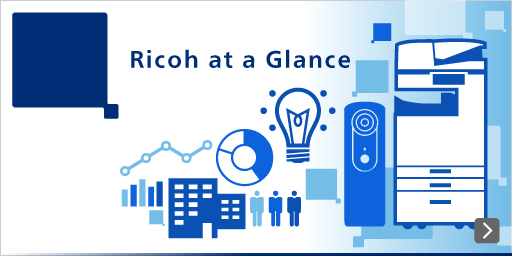 At the beginning of the fiscal year, Ricoh aimed to exceed operating profit by 140 billion yen. Is there any change on the premise? We solved the impact of supply problem on hardware sales from July to September. Following that, non-hardware is also improving. In the latter half of the fiscal year, we envision that unit price will continue to drop, but we think cost cutting for new products and increase of print volume will contribute to profits. We are reforming the business process in the 18th mid-term plan. From the latter half, we will further promote cost efficiency and cost cuttings. We plan to decrease inventories and shorten pay-pack period of account receivables to improve asset efficiency. The premise is unchanged. In the first half of the fiscal year, operating profit exceeded slightly the plan of 5.5 billion yen. On top of that, we aim to steadily restore non-hardware sales in 2H.